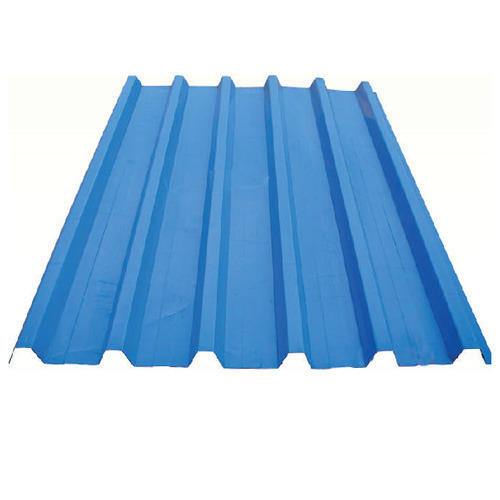 With enriched industrial experience and knowledge, we are providing an excellent range of Roofing Sheets. Incorporated in the year 2003, in Nashik (Maharashtra, India), we “Maheshwari Structures” are the eminent organization involved in manufacturing a wide gamut of Solar PV Mounting Structures, Unistrut Channel, PEB Purlins, Roofing Sheets, Road Crash Guard Barriers etc. The offered products are appreciated for their unique features such as enhanced durability, sturdiness, corrosion resistance, perfect finish, easy to use and rust-proof. Our experts work in close-coordination with each other in order to manufacture quality tested products in accordance with international quality norms. The offered products are manufactured using best quality raw material and ultra-modern technology at our well-established infrastructural unit. Our team of talented professionals works with full dedication in order to gain the firm's goal. Keeping in mind the diverse demands of our respected customers, we offer these products in several specifications.